"This new generation of game designers seeks to make gaming a cerebral, artistic, or emotional experience." Click here to read the full review on Lumiere.net.nz. This is a feature length documentary filmed between 2009-2012 in the USA and in Copenhagen. Us and the Game Industry explores computer game development. A developer cluster was invited to contribute to discussion on design outcomes with this new form. Developers share their motivation, design process, focus and execution of game ideas. 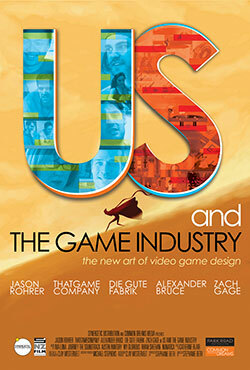 Jason Rohrer, Alexander Bruce, Die Gute Fabrik, Zack Gage and programmers and designers at thatgamecompany. Each developer has a different style and takes a different direction. Each wonders about the potential of digital game design. Filming begins in San Francisco and expands significantly to an observation of processes at thatgamecompany as the team builds, completes and offers JOURNEY, a networked game play for two on PS3, to the public. Composer, Austin Wintory, for JOURNEY, breaks new ground with a score made interactive for networked play. Many aspects of the game design process for JOURNEY received world recognition. Antichamber went on to be heralded as an engagement in "an Escher-like world". Other explorations are here: Mutazione from Die Gute Fabrik and J.S JOUST are presented. The Castle Doctrine from Jason Rohrer and SpellTower from Zach Gage are considered. And, threading through, Robin Hunicke, Jenova Chen, Kellee Santiago, John Edwards et al - are exemplary figures of a long-term excitement and engagement with this design field who celebrate life and challenge the threat of mediocrity in the form. All participants in the film remain active with next games or ventures. I think the more games I make the more excited I feel about the potential of this medium. Jenova Chen is President and CEO of thatgamecompany. Graduate of the University of Southern California interactive programme, Chen, in 2006, was excited to head towards a commercial game developer career. Sony Santa Monica took on the company for a three game contract. The company put out now well renowned games FLOW, and FLOWER, establishing a reputation for creating games that had emotional impact. In 2013, after thousands of sales and much touching feedback, Chen affirms the pleasure in game creation. The earlier games are now bundled for the Playstation 4. JOURNEY, since first release, has been bundled again, this time with the UNIFINISHED SWAN, a game that was being discussed during the time of making this film. We exclusively follow the studio build of JOURNEY with it’s music orchestration developments between 2009 – 2012 as the principle narrative element in this film. A past interview with Kellee about JOURNEY indicated her activity as a spokesperson for the game. “Journey was inspired by a conversation my business partner and I had with a space shuttle pilot. Being the pilot, he got to take people to the moon, though unfortunately never went on the moon himself. But he got to witness the experiences of these astronauts. Many of them were agnostic or atheists before the journey. And then every single one of them, he said, at some point, whether it was immediately on the trip itself, or months after they returned back home, had a deep spiritual experience, and became very religious. Our creative director (Jenova Chen) felt like this was because of the sense of supreme awe and wonder you probably have when you're standing on the moon, looking back at Earth. And that even a smaller sense of awe and wonder is something that's kind of lacking in our day-to-day lives now." ZACH GAGE'S FIRST DISCIPLINE WAS ART. HIS MFA WAS ON DATA. HE HAS EXHIBITED INTERNATIONALLY AT SEVERAL VENUES. Gage has developed puzzle games for the iPad generation and his research interests straddle the challenges of designing board and card games. Here's an essay by Sam Anderson about Gage and a later article in WIRED. BECAUSE GAMES GIVE US THE POWER TO TOUCH PEOPLE AND BECAUSE THEY MAKE PEOPLE OPEN TO US IN WAYS THAT THEY MAY NOT UNDERSTAND, WE HAVE THE OPPORTUNITY TO CONNECT PEOPLE TOGETHER IN A WAY THAT IS REALLY MEANINGFUL. Robin Hunicke is a game designer. Her early work was at EA on My Sims and Boombox and its sequel in the 2000ʼs. She is completing a Phd at Northwestern University in A.I. Hunicke was the producer for JOURNEY for the Playstation 3 at thatgamecompany from 2009. 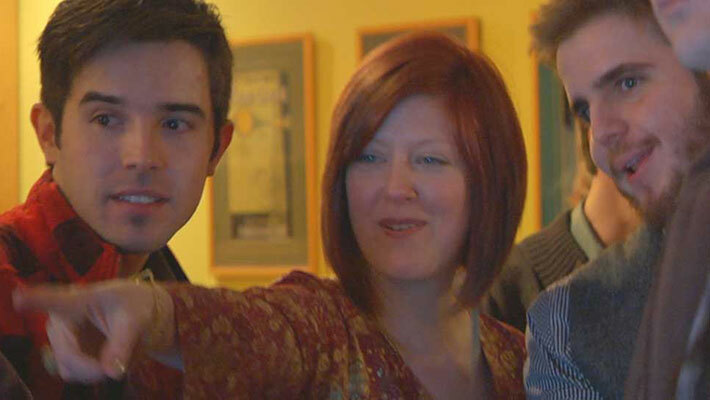 She was interim Advisory Board chair for Indiecade, 2011 and was an advisor for its steering committee, 2012. This is an International Festival of Independent games held in Culver city, Los Angeles. Hunicke now lives in San Francisco and co-runs a new company Funomena. Rohrer has developed small games as a sole developer. He has contributed intently to thought on aesthetics, philosophy and design. He has explored puzzle, abstract, the single player, the two-person player, strategy games and massive multi-player frameworks. Titles include: Gravitation, Primrose, Passage, Inside a Star-Filled Sky, Sleep is Death and Diamond Trust of London. We hear about his latest game The Castle Doctrine in the film. The Castle Doctrine, very MMO, offers a meta-experience with anxiety in his newest fiction where he opens up vulnerability inside a male myth. THINK ABOUT PLAY. 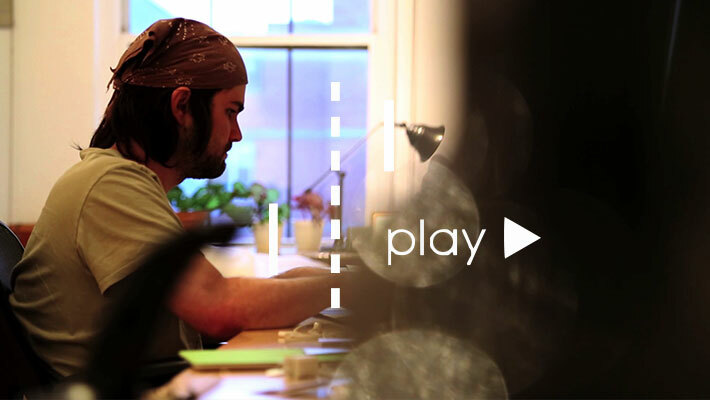 THINK ABOUT DIGITALLY MEDIATED PLAY. Douglas Wilson teamed up with developer colleagues and started the Copenhagen Collective in Denmark a few years ago. It is still active. He defended a Phd on low frequency interactive entertainments in May 2012 and it’s interesting to hop through his views on new games values. In the film we hear about the adventure game, MUTAZIONE and you may have heard of J.S. JOUST. "THE BUG TESTING I DO IS UP HERE," BRUCE SAID AND TAPPED ON HIS HEAD. Alexander Bruce is an independent developer. He brings to this film his thoughts during 2011 whilst in final development of his significant game, ANTICHAMBER. The game is described variously as a mind bender or puzzle platform video game. Bruce used his capacity to ‘be in game culture” in several world sites during the game’s development. He entered it a number of competitions, by doing so getting as close as was possible to player and player surprises. Along the way he garnered peer and game popularity well before the game's release in 2013. In 2009 Stephanie founded Common Dreams Ltd. Over some decades of involvement with documentary production and teaching with and about media, she has sustained an ethnographic interest in the human condition in the modern and then contemporary world. The film was born as a commissioned work out of a United Womens' Convention. "The organizing committee asked me to make something of the conference, take free reign to "find a topic and choose an approach." 1977 was a catalytic, informative and energetic time for debate and experience for women in public spaces. 1977 was an ideological time for feminist thought." A film on patterns of play, improvisation and performance devised as a workshop for women who had experienced domestic violence. It screened at NFT, London and at Universities in New Zealand and the USA and was exhibited at the 27th Oberhausen Documentary Film Festival. Robin Greenberg's film about a T'ai Chi master from China who was employed in the New Zealand fisheries from 1967, and who was part of a crew who sailed an old Chinese junk from Taiwan to San Francisco in 1955 without sailing experience. Greenberg's sequel film is called "The Free China Junk" (2010). During graduate school at USC, Clay received both the Bush and Kodak Awards for Excellence in Cinematography, earning an apprenticeship with ASC members. He was honored to apprentice with Francis Kenny (2012 ASC President’s Award), and went on to learn lighting and camera techniques through on-set observation of Vilmos Zsigmond, Emmanuelle Lubezki, and Dante Spinotti. After graduation, Clay immediately filmed pilots for every major network, establishing the look of such series as Life of Luxury with Robin Leach (ABC), Gene Simmons: Family Jewels (A&E), Rattlesnake Republic (Animal Planet), and Junk Gypsies (HGTV). Clay branched into directing with thursday afternoon, winning additional writing and directing awards while playing on PBS, The Sundance Channel, and in film festivals internationally. He established Martini Crew Booking as a gear and service provider for television and film productions in 2000. While at Martini, Clay filmed the Emmy-winning documentary The Legend of Pancho Barnes and the Happy Bottom Riding Club. In 2003, Clay formed Imaginaut Entertainment, Inc, producing and directing the award-winning series Storyline Online, featuring such talents as Elijah Wood, Betty White, James Earl Jones, and Al Gore. Imaginaut released its first feature, the award-winning documentary Popatopolis in 2009, and a heartwarming doc for HBO in 2013 about a pageant for young disabled girls. He also released Mr. Twister, a documentary about an autistic young man, produced by Academy Award-winner Mark Harris. Clay resides in the Silverlake area of Los Angeles with his wife and daughter, and is in development on multiple documentaries and television pilots while writing two feature screenplays. One viewer, a youth, said, "Thank you. I came here in a really bad mood, but I'm leaving so inspired and happy. Seeing this encourages me to keep going." "I enjoyed seeing that indie games are not just one thing for all people." 40 people watched the movie. They felt very motivated about what they watched mainly because in countries like Mexico is not easy to do make games. Wow. What a beautiful collection of art, sound, games, and the people who want to change the medium! When can we get a download? "It's wonderful.. Congratulations!! You managed to talk to all the most interesting and (history will prove) most influential game developers of our time. I think people from other creative fields (painters, writers, dancers, etc.) will recognize the drives and desires that they've express so eloquently throughout the film; they're the same impulses (and obstacles) that have driven artists for centuries and centuries." "I love the documentary! I watched it in its entirety twice. You wove a wonderful story and I'm sure many non-gamers will also be interested in how games are made.